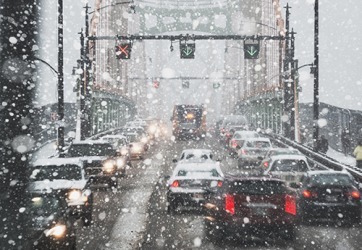 The rigorous weather conditions made the morning drive to work very dangerous for commuters. Rigorous means very active or severe. An example of rigorous is the amount and type of exercise done by Olympic athletes. The definition of rigorous is something that is painfully exact or precise. An example of rigorous is testing that is done during research. Rigorous is defined as something that is harsh or very strict. An example of a rigorous place is the cold of Antarctica. An example of a rigorous law is a zero tolerance law on selling drugs. "rigorous." YourDictionary, n.d. Web. 18 April 2019. <https://www.yourdictionary.com/Rigorous>. very strict or harsh: a rigorous rule, master, etc. Characterized by or adhering to strict standards or methods; exacting and thorough: a rigorous study of the medication; a rigorous researcher. a. Harsh, severe, or demanding: a rigorous taskmaster; a rigorous schedule. b. Very unpleasant or inclement: a rigorous climate. Adhering strictly to a belief or ideology; uncompromising or inflexible: a rigorous Catholic; a rigorous sense of correctness. Manifesting, exercising, or favoring rigour; allowing no abatement or mitigation; scrupulously accurate; exact; strict; severe; relentless; as, a rigorous officer of justice; a rigorous execution of law; a rigorous definition or demonstration. His imprisonment was not a rigorous one, and negotiations for his release were soon begun. Thomas died in Newgate gaol, London, but Bartholomew's imprisonment was not a rigorous one. His internal administration, though not sufficiently rigorous to check abuses, was upright and thoughtful. A frame naturally slight had been further attenuated by rigorous habits of temperance, and thus rendered proof against the diseases of the tropics.